What is Google Analytics? It’s a free tool Google provides that lets you measure traffic and all the things going on with your website. 1. How much traffic are you getting? With Google Analytics, you can see exactly how much traffic your website is actually getting. And it’s one thing to say “Yeah, we’re getting a ton of traffic on our website!” But what does that mean? How many people are visiting your website each month? Each year? Each week? 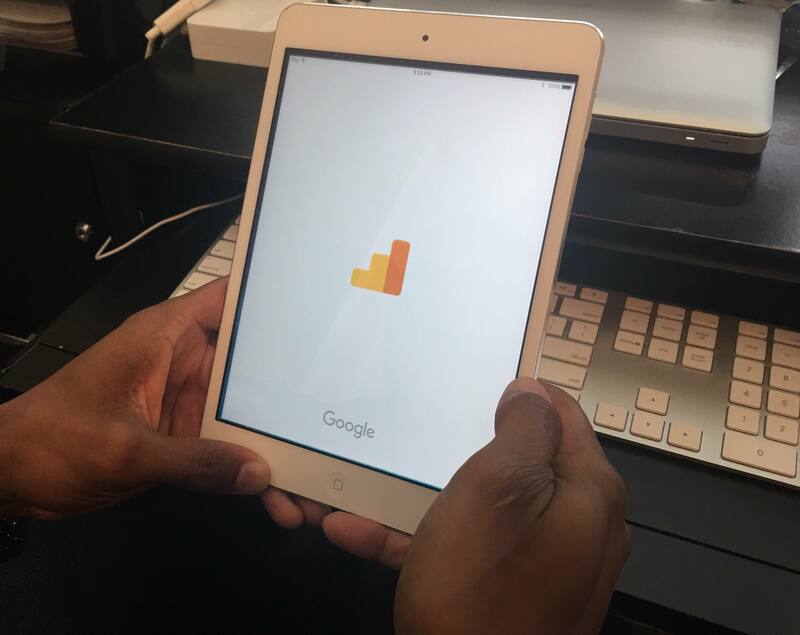 With Google Analytics you won’t have to guess, you’ll actually know. 2. What are these people actually doing on your website? You can find out what kinds of actions people are actually taking on your website, how much time they’re spending there, etc. You can check things like bounce rate, which is when they just go to one page and then leave. (Sometimes this is a great thing because it means people are coming and finding exactly what they need. Sometimes it’s not so great because it means they don’t like your website!) You can find out which pages people click through the most, and other things like that. 3. Where do your clients live? You can see geographical data based on where someone’s IP address is. So if you’re getting a ton of people coming to your website from McKinney, this can help you create some content for people who live in McKinney. You might take that opportunity to write articles about fun things to do in McKinney, or whatever might speak to people in that particular geographic location. You can use this as a cue for what kind of content to create. 4. What kind of device are people using to visit your website? This is a fun one for me. Are they using an iPhone or an Android? Are most people coming to your website on a mobile device, or on a desktop or laptop? You can actually look at these kinds of things by using Google Analytics. If you were coming out with a phone app, and you notice that 90% of your audience uses an iPhone, and only 10% uses Android, you’re going to know to put all of your money and your resources into building the application for the iPhone. But you’re not guessing, and throwing out money on a hunch; you know where your traffic is coming from and what device the people who go to your website use. Also, from a content creation standpoint, if you have a heavy iPhone user base, you can create content geared towards them. Let’s say you own a security system company: You can create content about the best iPhone apps to have for security. That would really resonate well with your audience if you know what device your audience uses. 5. What websites are giving you traffic? What are your referral websites? Facebook? Twitter? Your local Chamber of Commerce? If you’ve joined your local chamber, you can find out if you’re actually getting traffic from their directory. You can see all these kinds of things in Google Analytics. You can tell if you’re spending good money on a particular directory because you can see the lead flow from it. Take all the guessing out of the equation! Download Google Analytics and set up your accounts. It’s free! You may have to have a web developer put a code on your website to have it track properly, but that’s not hard to set up. This is something that every small business should have! Get it installed today!